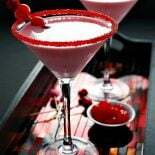 This grown-up version of a pink milkshake is everything you want it to be: a cherry blossom drink that's sweet and creamy and with a tiny bit of a bite. Those yummy parfaits take about 10-15 minutes to make. And while that’s certainly not an eternity by any means, what about when you already have company over and you’re busy doing food prep or whatever else your hostly duties require and all you need is something quick and easy to keep everyone occupied until the food is done or the commercials are over or the next game starts… what do you do then? I think that’s why cocktails were invented. It’s been a while since I posted a pure drink recipe, which is kinda a shame. 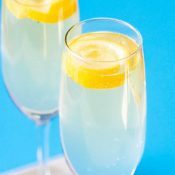 Last fall I was super motivated to fill up the drink archive for this little food blog and was churning out a new drink recipe every few weeks. Then January came and holidays and the parfait madness and… well, basically what I’m saying here is that I was distracted by whipped cream and chocolate, but going forward I’m going to work on bringing you a better balance of sweet, savory, and refreshing recipes. 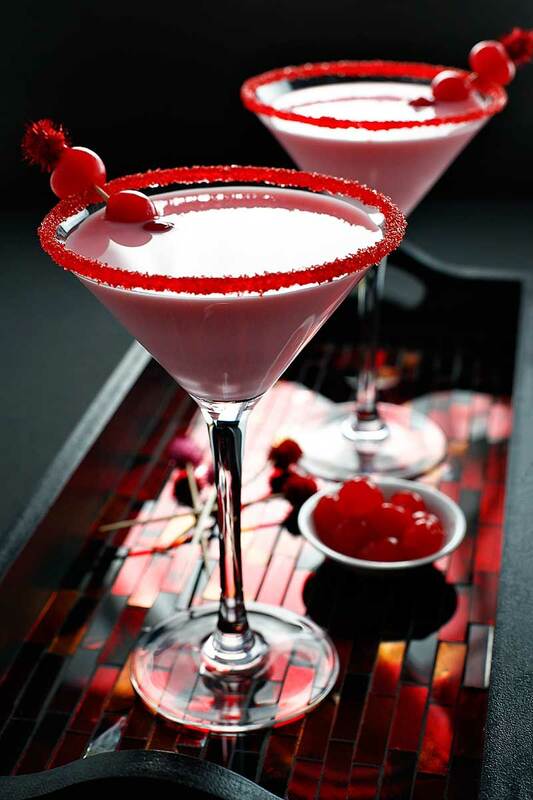 And what better way to start that trend hand with this cherry blossom cocktail? I stumbled across this drink mix while researching Sambuca recipes because, you guys, I’ve become absolutely obsessed with Sambuca. Well, Sambuca is the drink they’re shooting, and after discovering Sambuca a few months back I can totally understand why they would do this. Sambuca is so good that you’ll want to shout after taking a shot of it. 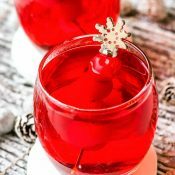 After that, the rest all fell into place: grenadine is always a hit, and I was really intrigued by the addition of milk. The end result was a sweet and creamy drink that I like to think of as a pink milkshake that’s all grown up. 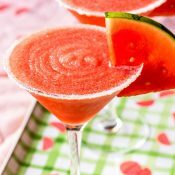 With my love of Sambuca in full swing, I can totally see this cocktail becoming a staple at our next house party! This can sometimes be a little confusing, but I’ve found the best way to consider it this: Recipes that measure in parts usually mean it’s written to enable you to adapt the dimensions of the drink to whatever you want and the measurements they give you (1 part, 1/2 part, etc) are so you can keep the ratio of the ingredients correct. This way the drink will taste the same no matter size you make it. If you don’t have one already, I highly recommend adding a quality cocktail shaker to your bar. I like this one: Mason Jar and Stainless Steel Cocktail Shaker Set. And if you already have a ton of mason jars and just need a cocktail shaker lid, you can pick one up here: Mason Jar Cocktail Shaker Lid. To get the true look of this martini you need to serve it in a martini glass. 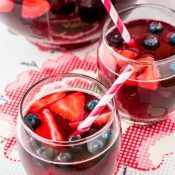 Be sure your bar is stocked with some before whipping up this drink! In two wide bowls, add a small amount of grenadine in one and the red sanding sugar in the other. 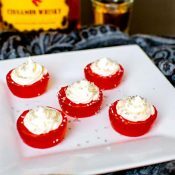 Dip the mouths of the glasses in the grenadine, then roll them in the sanding sugar. Set coated glasses nearby. Pour Sambuca, grenadine syrup, and milk into an ice-filled cocktail shaker. 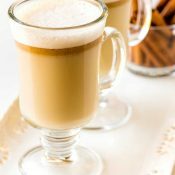 Shake vigorously and strain into prepared glasses glass. 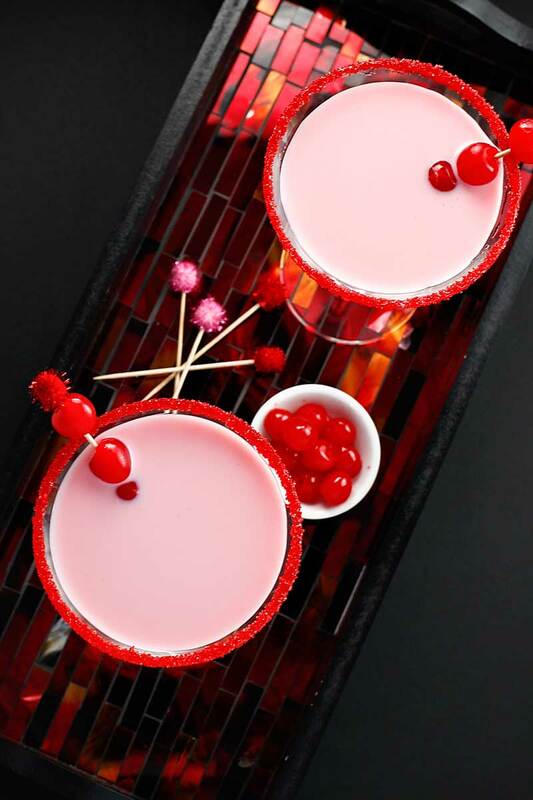 Serve cherry blossom cocktails immediately, garnished with cherries. 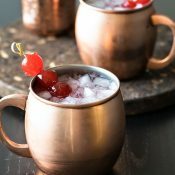 Considering how much I love cherry, this cocktail is a MUST try! Gorgeous pics! YES!!! That is exactly why cocktails were invented! 😉 This looks amazing. Oh how I love Samba! What a fun, yummy looking drink! oops, I meant Sambuca…darn autocorrect! 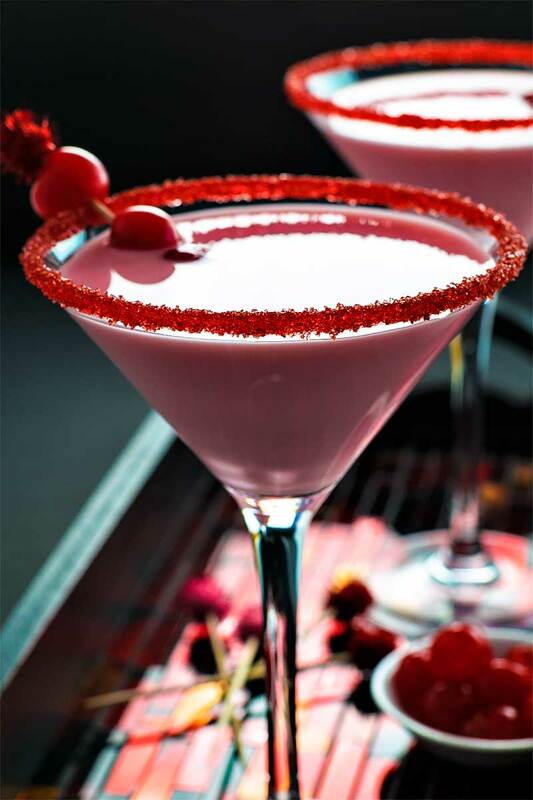 This drink looks delightful and I love the extra red touches. Greek ouzo is totally different with sambuca . In that particular movie they are drinking ouzo not sambuca.. 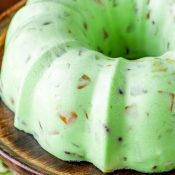 The color on this dish is calling my name! Plus I LOVE the sugar rim…yum! This sounds amazing! I would love it if you would link it up to Tipsy Tuesday at Grey is the New Black!